Many people have doubts, why their custom acrylic sheets are a little thicker or thinner, did the manufacturer make a mistake during producing? Today acrylic professional – Sunday Knight Co Ltd tells you that this is due to the tolerance of acrylic products. There are two kinds of acrylic sheets: cast acrylic sheet and extruded acrylic sheet. And there are different thickness tolerance standard for them. What is the tolerance standard for the thickness of acrylic sheets? Above tolerance standard is from ISO7823, this is an international standard which was accept by all over the world. But actually all of our acrylic products thickness standard were much strict than international standard. 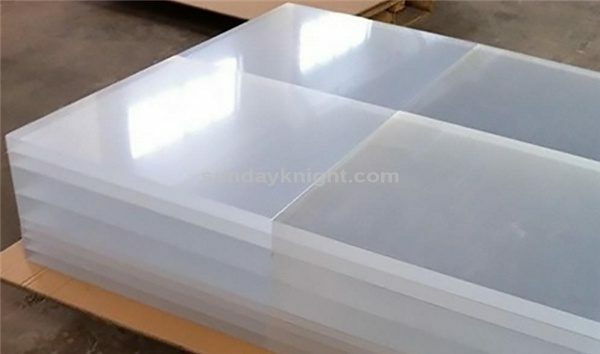 For example, for 3mm thickness cast acrylic sheet, normally our thickness range is 2.6 – 3.2mm, the ISO7823 standard tolerance is +/-0.7mm, it means it is OK if the thickness is in range of 2.3 – 3.7mm. For the custom made extruded acrylic sheets, we can control the thickness at +/-0.1 mm. If you have any questions about acrylic sheets, please feel free to contact us, thanks!